What if you could see nasty microscopic air pollutants in your home? 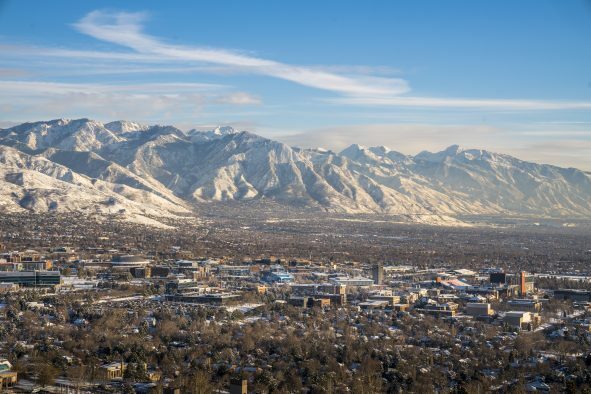 Engineers from the University of Utah’s School of Computing conducted a study to determine if homeowners change the way they live if they could visualize the air quality in their house. It turns out, their behavior changes a lot. 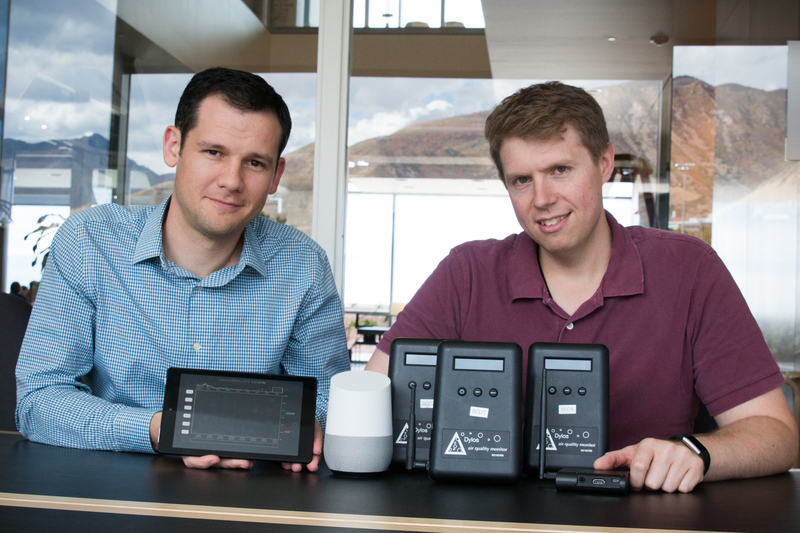 University of Utah School of Computing assistant professor Jason Wiese (left) and computing doctoral student Jimmy Moore conducted a study to determine if homeowners change the way they live if they could visualize the air quality in their house. They provided participants air pollution sensors, a Google Home speaker and a tablet to measure and chart the air quality in their homes. 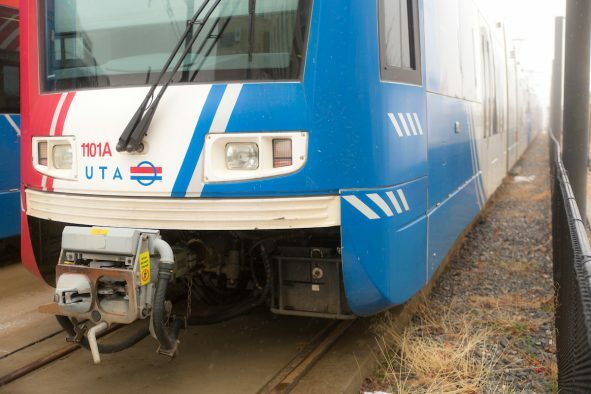 “The idea behind this study was to help people understand something about this invisible air quality in their home,” says University of Utah School of Computing assistant professor Jason Wiese, who was a lead author of the paper along with U School of Computing doctoral student Jimmy Moore and School of Computing associate professor Miriah Meyer. University of Utah engineers from both the School of Computing and the Department of Electrical and Computer Engineering built a series of portable air quality monitors with Wi-Fi and connected them to a university server. Three sensors were placed in each of six homes in Salt Lake and Utah counties from four to 11 months in 2017 and 2018. Two were placed in different, high-traffic areas of the house such as the kitchen or a bedroom and one outside on or near the porch. Each minute, each sensor automatically measured the air for PM 2.5 (a measurement of tiny particles or droplets in the air that are 2.5 microns or less in width) and sent the data to the server. 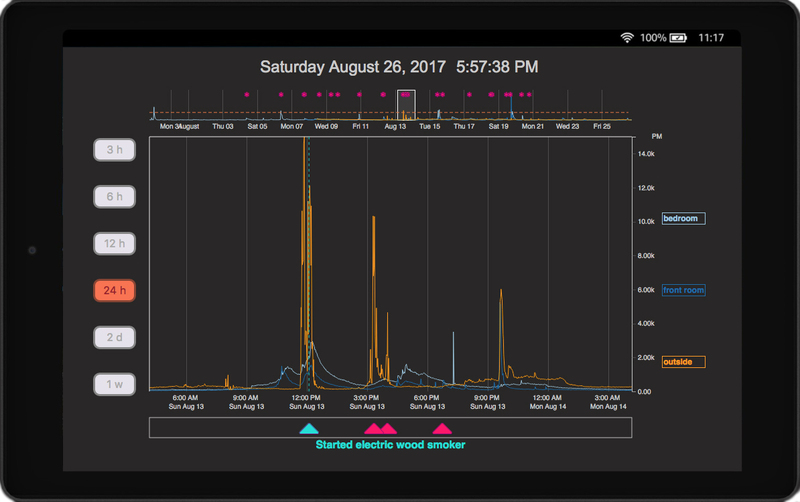 The data could then be viewed by the homeowner on an Amazon tablet that displayed the air pollution measurements in each room as a line graph over a 24-hour period. Participants in the study could see up to 30 days of air pollution data. To help identify when there might be spikes in the air pollution, homeowners were given a voice-activated Google Home speaker so they could tell the server to label a particular moment in time when the air quality was being measured, such as when a person was cooking or vacuuming. Participants also were sent an SMS text message warning them whenever the indoor air quality changed rapidly. Participants were given an Amazon table that displayed the air pollution data in an easy-to-understand line chart so they could see when and why the air quality worsened. Homeowners also could label points in time when the pollution would spike, such as when they were cooking or vacuuming. During the study, researchers discovered some interesting trends from their system of sensors, which they called MAAV (MeasureAir quality, Annotate data streams, and Visualize real-time PM2.5 levels). One homeowner discovered that the air pollution in her home spiked when she cooked with olive oil. So that motivated her to find other oils that produced less smoke at the same cooking temperature.